Restore Your Smile Today With Dental Implants in Prescott! Revolutionize your oral health with dental implants in Prescott, AZ. The #1 solution for missing teeth! Missing teeth cause problems. They cause your other teeth to shift or drift, prolong jawbone deterioration and make it hard to chew or even speak. Dental implants can solve all of those problems by looking, feeling, and functioning like a natural tooth. It’s an artificial tooth root topped with a beautiful porcelain crown to complete your smile, letting you eat, talk, chew, and laugh again with perfect confidence. Post: A titanium post is placed that is extremely strong and durable. Abutment: This securely holds the crown to the underlying post. Crown: A custom-created crown will naturally blend in with the rest of your teeth. Why choose dental implants to improve your smile? Implants are designed to fit your mouth perfectly and look and function like your natural teeth – with the bonus of being cavity-resistant. Other restorations require replacement or regular adjustments. Whether you need full mouth replacement or to replace a single tooth, this long-term solution can last a lifetime with very minimal follow-up work. Our surgically placed replacement teeth allow you to maintain your natural face, speak easily, and eat the foods you love – all while having a beautiful smile. Drs. Paul and Aaron Wulff are your number one choice for dental implants in Prescott, AZ. 1. Our bona fide expert dentists have both the skills and knowledge to restore your smile to its former glory. 2. Our office is equipped with the latest in dental technology, and we work with one of the best labs in the country – Gold Dust Dental Lab. 3. We take extra time to explain every stage of the implant procedure and never leave your side, no matter what. We firmly believe dental implants are an ideal, permanent solution for your missing teeth. To help you see the array of benefits dental implants in Prescott, AZ has to offer, we are giving away a free guide. 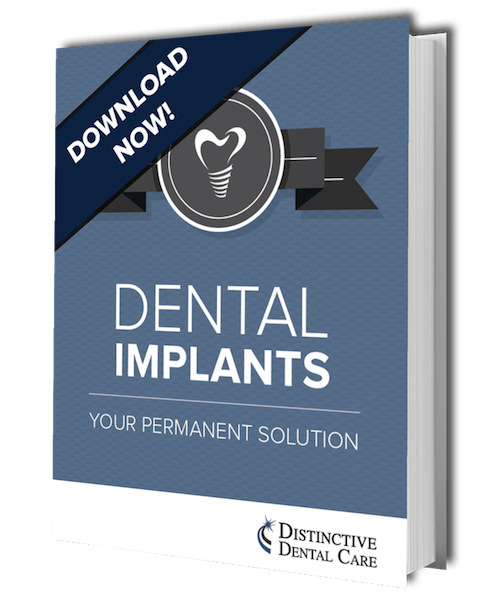 This download can be yours today, which contains everything you need to know about this innovative treatment for tooth replacement. Over 98% of implant treatments are successful – why don’t you join that number? Download your FREE eBook (no obligation to booking an appointment) by clicking on the button below. At Distinctive Dental Care, we firmly believe dental implants are an ideal, permanent solution for your missing teeth. To help you see the array of benefits dental implants in Prescott has to offer, we are giving away a free guide. This download can be yours today and contains everything you need to know about this innovative treatment. Dental implants are an excellent solution to anyone who has healthy teeth and gums with enough bone structure to accept an implant. If there has been a significant amount of bone deterioration, a bone graft may be necessary before the implant treatment can proceed. Implants are not susceptible to dental disease such as decay. However, healthy gums are vital to maintaining your implant’s success. With a good dental routine at home and regular professional cleanings and check-ups, implants can last for decades. Both restorations are good options for replacing missing teeth. Dental implants, however, have some benefits that bridges do not have. 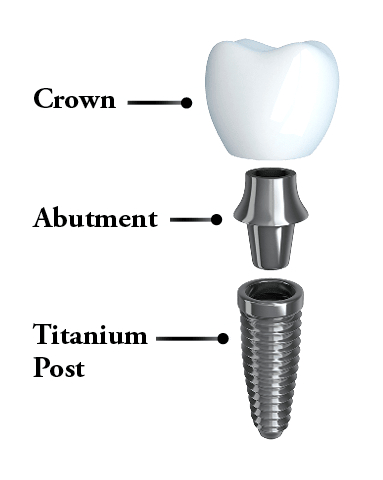 Implants are more conservative because, unlike a bridge, an implant does not need the support of neighboring teeth, so there is no need to modify their shape to hold a bridge. An implant is permanent, giving you added stability when eating and talking. Bridges do not stimulate bone regeneration in the jaw the way implants do. Every case is different and Drs. Paul and Aaron will be able to tell you which option will work best for your particular needs. Ready to Rediscover Your Smile?